Dr. Amir Zeki is a pulmonologist from Sacramento, California. He has an extensive medical experience. Dr. Zeki graduated from the University of Washington School of Medicine. He completed both his residency and fellowship at the University of California-Davis. Dr. Zeki is a board-certified specialist in Critical Care Medicine and Pulmonary Disease. He is also a prolific researcher who contributed to a large number of studies. Some of the topics he covered are fluticasone furoate and vilanterol trifenatate combination, therapeutic strategies for adult obese asthmatics, soluble epoxide hydrolase inhibitor. 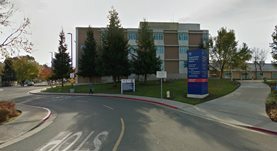 Dr. Zeki is currently affiliated with the VA Northern California Health Care System in Martinez and the VA Northern California Health Care System in Mather. Dr. Amir Zeki has contributed to 3 publications. The combination of fluticasone furoate and vilanterol trifenatate in the management of asthma: clinical trial evidence and experience. Albertson, T. E.,Richards, J. R.,Zeki, A. A.; Ther Adv Respir Dis. 2015 Dec 17. Novel Therapeutic Strategies for Adult Obese Asthmatics. Linderholm, A. L.,Bratt, J. M.,Schuster, G. U.,Zeki, A. A.,Kenyon, N. J.; Immunol Allergy Clin North Am. 2014 Oct 06. Autophagy in airway diseases: a new frontier in human asthma? Zeki, A. A.,Yeganeh, B.,Kenyon, N. J.,Post, M.,Ghavami, S.; Allergy. 2015 Sep 04.